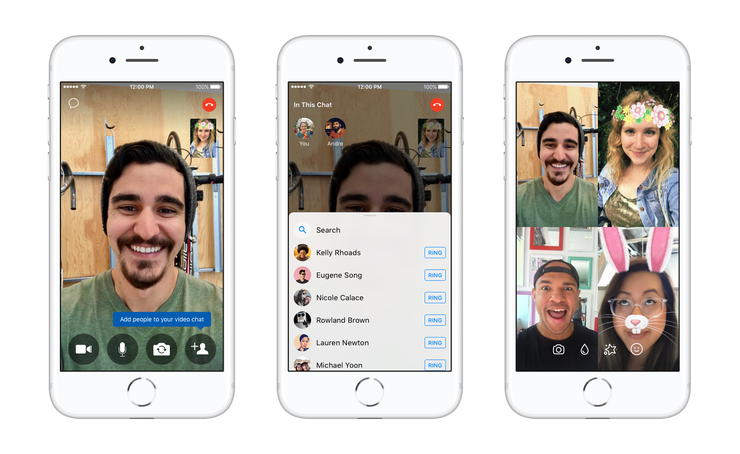 From the 22nd of February, Facebook will release an update to Messenger that will make it easier to hold group video calls. Currently, to turn a one-on-one video or audio chat into a group chat, you have to hang up and start a new conversation from your inbox - either by starting an entirely new message or by searching for an old one - and then turn that conversation into a call. Following the update, it will be easier to make group video calls by adding people to an ongoing video chat without having to end the call and start a new thread. While in a video chat or voice call, simply tap the screen and select the “add person” icon, and then choose who you want to join. All your favourite filters and effects are still available in a group chat, and you can easily keep the conversation going after the video or audio chat has ended in the automatically created group chat in your inbox. In 2017, there were over 17 billion video calls made on Facebook Messenger. In 2018, Messenger is betting big on group video calls, and Australia is key for the platform with more than 13 million people connecting on Messenger every month.